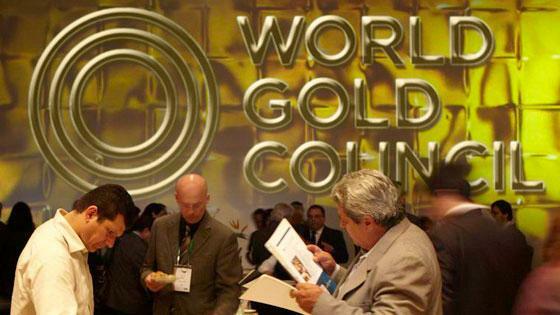 The World Gold Council (WGC) is a membership based body that acts as a market development organisation for the global gold industry. Membership is limited to gold mining companies, and currently the Council has 19 members including Barrick, Newmont and GoldCorp. The WGC is active in promoting gold in a number of areas, including the jewellery sector, the financial industry and investment product sector, the official (central bank) sector, and the technology industry. The Council is headquartered in London but also has offices in New York, Singapore, Tokyo, Shanghai, Beijing and Mumbai. Although it was historically funded purely from the membership dues of its miner members, the Association has become increasingly funded by income from commercial investment products that it has either launched or co-launched. The best known example of such products is the SPDR Gold Trust. The WGC is well-known for producing a number of regular reports about the gold market, including its Quarterly Gold Demand Trends series, its World Official Gold Reserves statistics, and intermittent features it publishes about various gold markets around the world. The WGC also runs periodic short courses such as an executive workshop on gold reserves management that is exclusively open to staff of central banks. The World Gold Council, official name “World Gold Council, An Association” was incorporated in the Canton of Geneva Switzerland on 8 July 1987 as a non-profit Swiss ‘Association’ (Verein) under Article 60 of the Swiss Civil Code. The WGC’s founder members included mining companies Newmont Mining, Consolidated GoldFields, American Barrick Resources, Western Mining Corp, GoldFields of South Africa, Anglo-American Corp of South Africa, Placer Dome and Noranda Minerals. Although the official registered office of the Council is still in Geneva, the Council’s principal place of business and headquarters is in London, England, and has been since 1988, where it’s registered as an overseas company (foreign company number FC014324). Although its registered as a ‘non-profit’ company, the World Gold Council became a lot more commercially oriented during the 2000s with the launch of Exchange Traded Fund products, and for example in 2008 was describing itself as a “commercially-driven organisation“. The current membership of the WGC comprises 19 large and medium-sized gold mining and gold streaming companies from across the globe. In alphabetical order, the current members are: Acacia, Agnico Eagle, Alamos, Barrick, Buenaventura, Centerra, China Gold, Eldorado, Franco Nevada, Goldcorp, Golden Star Resources, Kinross, Newgold, Newmont, OceanaGold, Primero, Royal Gold, Silver Wheaton, and Yamana. OceanaGold is the most recent member. The WGC’s membership base has changed frequently over the years in line with the fortunes of the gold mining industry, with various companies joining and leaving the association over time. For example, in 2012 there were 24 mining company members. Notably, in early 2015, Australian gold mining giant Newcrest Mining departed. This followed exits from the WGC in 2014 by two South African gold mining heavyweights, Anglogold Ashanti and GoldFields, both of whose predecessors had been WGC founding members. Canadian company IAMGOLD also left the organisation in 2015. All three of these companies stated that they left the organisation for cost saving reasons which would be understandable given the relatively weak gold price between 2013-2015, but less understandable since the WGC scrapped member dues as of early 2015, a decision which the departing members would have known about. Between late 2013 and early 2014, two other companies, Mitsubishi Materials Corp, and Hutti Gold Mines also departed the WGC, while in 2012 Coeur d’Alene Mines also bowed out. Up until 2013 there were 2 categories of membership, full member and associate. From 2014, all associates became full members. For a relatively small organisation, the World Gold Council comprises a diverse range of functional business areas and legal entities, and it has a physical presence in a number of major financial capitals around the world. Functionally, the WGC is active in monitoring and interacting with the gold jewellery market, collaborating with companies and institutions to promote technological uses of gold, promoting gold as a reserve asset in central banker education and training settings through its public policy team, and developing and promoting gold investment products such as the SPDR Gold Trust. The WGC also creates and publishes statistical and marketing documentation about the global gold market and organises various events around the globe related to the gold market, such as the China Gold Congress. Structurally, the World Gold Council is made up of a confusingly large number of company entities, 100% owned subsidiaries, branches and representative offices. As mentioned above, the main WGC Association entity is registered as a Swiss Verein in Geneva, Switzerland, and also registered as a foreign company in the UK. There is also a fully owned UK subsidiary called WGC (UK) Ltd through which the group holds various investments. The Council’s activities as sponsor of the SPDR Gold Trust are operated through a US company entity called World Gold Trust Services (WGTS) LLC registered in Delaware, but with its offices in New York. Another US entity called WGC (US) Holdings Inc is also registered to the same New York address. A number of WGC entities are registered in Jersey including Gold Bullion Holdings (Jersey) Limited. The Council’s offices in Singapore, Mumbai, Shanghai, Beijing and Tokyo are operated through respective local companies established in those jurisdictions, namely World Gold Council (Far East) Pte Ltd, World Gold Council (India) Private Ltd, World Gold Council China Co Ltd, and World Gold Council KK in Japan. See page 38 of 2015 WGC Annual Accounts for a full list of WGC subsidiaries. In Singapore, the WGC is a member of the Singapore Bullion Market Association (SBMA), and also has a representative on SBMA’s management committee. In fact, the Singapore office of the World Gold Council and the Singapore office of the SBMA are in the same building in Singapore, 9 Raffles Place. In the Japanese gold market, the WGC is a special member of gold industry body, the Japan Gold Metal Association(JGMA) . The JGMA’s members span Japan’s largest players in the gold market such as refiner Tanaka Kikinzoku, miner Sumitomo Metal Mining Co, and gold trading companies Mitsubishi Materials Corp, and Mitsui & Co. The World Gold Council has been active in supporting the development of the Chinese gold market since the mid-1990s. In 2000, for example, the WGC organised the “2000 China Gold Economic Forum” in Beijing. More recently, in 2014, the WGC and state-controlled China Gold Association (CGA) agreed a partnership to continue to develop China’s domestic gold market. WGC offices in both Shanghai and Beijing appear to signal a decision by the Council to devote significant resources to the Chinese market. In the Indian gold market, the WGC operates a local office in Mumbai and interacts with the government and local trade associations to promote gold, especially in initiatives around the gold jewellery sector, such as the WGC’s recent support for an Indian gold hallmarking system. The WGC is governed by a board of directors who are selected from the officer ranks of the member companies. There is usually one director appointed by each member company, therefore with 19 member companies, there can be up to 19 directors on the board. Each director also has an alternate director. The Board meets 4 times per year, either in person or by conference call. One of the directors is appointed as Chairman of the World Gold Council for a two-year cycle. The current chairman is Randall Oliphant of New Gold. The board sets the strategy and agenda of the WGC and leads the association. A chief executive officer implements the board’s strategy, and is responsible for the day-to-day running of the Council, supported by an executive committee including a treasurer and company secretary. The current WGC CEO is Aram Shishmanian. A recent copy of the WGC’s Articles of Association from April 2013 can be downloaded from the Geneva Canton site of the Swiss company registry. At inception in 1987, the World Gold Council’s funding was derived exclusively from member dues paid in by its gold mining company members. Over time, as the WGC became involved in launching commercial products tied to gold, it began generating commercial revenue streams to supplement its member dues. By 2014, the Council’s activities were funded via a combination of annual member dues and income from sponsor fees generated by the SPDR Gold Trust (GLD). World Gold Trust Services, a fully-owned subsidiary of the World Gold Council, is the sponsor of the SPDR Gold Trust. However, from 2015, a decision was made to set member dues to zero and to derive income purely from sponsor fees from the GLD, while also using retained cash. For a full discussion of WGC income and the shift away from member dues to sponsor fees, please see BullionStar blog article “The funding model of the World Gold Council: GLD Fees and Gold Miner Dues“. The WGC also receives recurring annual income from Exchange Traded Fund Securities Ltd (ETFS Ltd) in the form of an annual stream of gold ounces. This revenue stream arose from WGC’s investments in Gold Bullion Securities Limited (GBSJ and GBSA), two gold security issuing entities which were sold to ETF Securities in July 2008. The consideration paid by ETF Securities to WGC consisted of deferred consideration of 328,333 ounces of gold (approximately 10 tonnes of gold) which would be paid annually over a 50 year period from 2008 to 2058. As of December 2015 there were still 279,000 ounces of gold payable to the WGC under this deferred compensation stream, after the WGC received approximately 6500 ounces of gold from ETF Securities during 2015 (worth approximately US $ 7.6 million in 2015). Through its reliance on sponsor fees from the SPDR Gold Trust (from which it received a sponsor’s fee of nearly US $ 67 million in 2015), as well as an income stream of gold from ETF Securities, the World Gold Council’s funding is now heavily reliant on gold-backed Exchange Traded Funds, and also heavy exposed to the continued success of financial gold products. Full details of WGC revenues are viewable in the Council’s year-end financial accounts (see references and links below). The World Gold Council co-launched the well-known exchange-traded SPDR Gold Trust in 2004 in conjunction with State Street Global Advisors (SSGA). The WGC is the trust’s sponsor and SSGA is the trust’s marketing agent. Originally, the SPDR Gold Trust was named “streetTracks Gold Trust”, only changing name to the SPDR Gold Trust in May 2008. StreetTracks (SPDR Gold Trust) was initially listed on the New York Stock Exchange (NYSE), and subsequently obtained secondary listings on the Stock Exchange of Hong Kong, the Singapore Stock Exchange, the Tokyo Stock Exchange, and the Mexican Stock Exchange. The WGC also owns a 50% shareholding in Metals Focus Data Limited through its UK subsidiary WGC (UK) Ltd. The other 50% is owned by Metals Focus Ltd, which is the provider of gold supply and demand data to the WGC for use in the WGC’s Quarterly Gold Demand Trends reports. Until early 2016, the WGC through its Jersey company WGC Holdings (Jersey) Ltd owned an approximate 11% stake in London-based bullion trading platform BullionVault (Galmarley Ltd). This stake was then transferred from WGC Holdings (Jersey) Ltd to a secretive investment trust called Gold Bullion Investment Trust (GBIT) which is also registered in Jersey and which is a connected company of the World Gold Council and a trust in which a number of the WGC members have an interest. In August 2016, the World Gold Council in collaboration with the London Metal Exchange (LME) and a number of bullion banks announced the planned launch of ‘loco London’ settled gold and silver spot and futures contracts that will trade on and clear on LME infrastructure. This new suite of products, to be launched during H1 2017, will be known as ‘LMEprecious’.. Although described as having a delivery type of ‘Physical’, the actual settlement of trades for these contracts will be in the form of unallocated gold or silver that will be transferred between LME Clear clearing accounts held at London Precious Metals Clearing Limited (LPMCL) member banks. LMEprecious is thus another from of paper trading using LPMCL’s AURUM clearing system. For full details of the LMEprecious plans, see BullionStar article “The Charade Continues – London Gold and Silver Markets set for even more paper trading”.